Jesse Lingard, ChrisMD and Sport Relief! 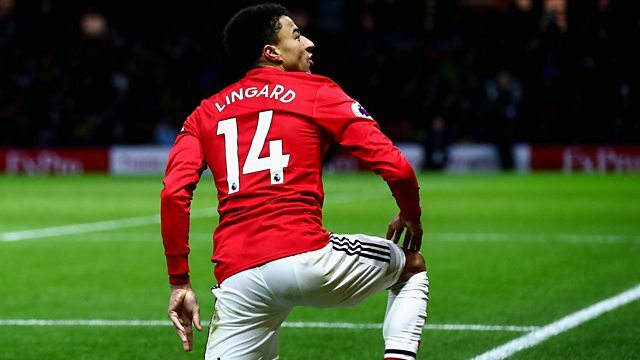 Manchester United star Jesse Lingard answers your questions. YouTuber ChrisMD takes on the Kickabout Hat Trick challenge. Browse content similar to Jesse Lingard, ChrisMD and Sport Relief!. Check below for episodes and series from the same categories and more! the start of Sport Relief, too. victory at the Nou Camp. manager until the end of the season. Can Sparky reignite their season? What a night for Woodman. in by Wednesday the 21st of March. to it the million mark. your template and get involved. Ronaldo to Kevin De Bruyne. Let's see how he got on. for the middle one first. big one at the back. So it's the one at the back done. so I really want two here. when I take it on, don't you worry. of you nailing some bin shots. and skills like this lot done. What a present that free kick was. for the Spurs before too long. and crossbar hits from Finn. using his sister's gymnastics bar. Talk about using your initiative. 31 so far this season. Well done to you, Rhys. Desai was one of my favourites. having such a good run? It's the World Cup this year. have never felt that way before. Leicester City take on Chelsea. performance on the domestic front. caught up with Jesse Lingard. goal you have ever scored. moment of his young career so far. the website for all the details. Strictly special for Sport Relief. again, keep the same tempo. me I need to add Sass. leave you with the top tech winner. the years again, Ryan Giggs! Game over! This is still Ryan Giggs. To celebrate the start of Sport Relief, Manchester United star Jesse Lingard answers your questions. YouTuber ChrisMD takes on the Kickabout Hat Trick challenge, and it's your last chance to get involved with our Mileathon send in with Blue Peter! Also, we've got a behind the scenes sneak peek at our very own Alex Scott in training for the Sport Relief Strictly Come Dancing special!